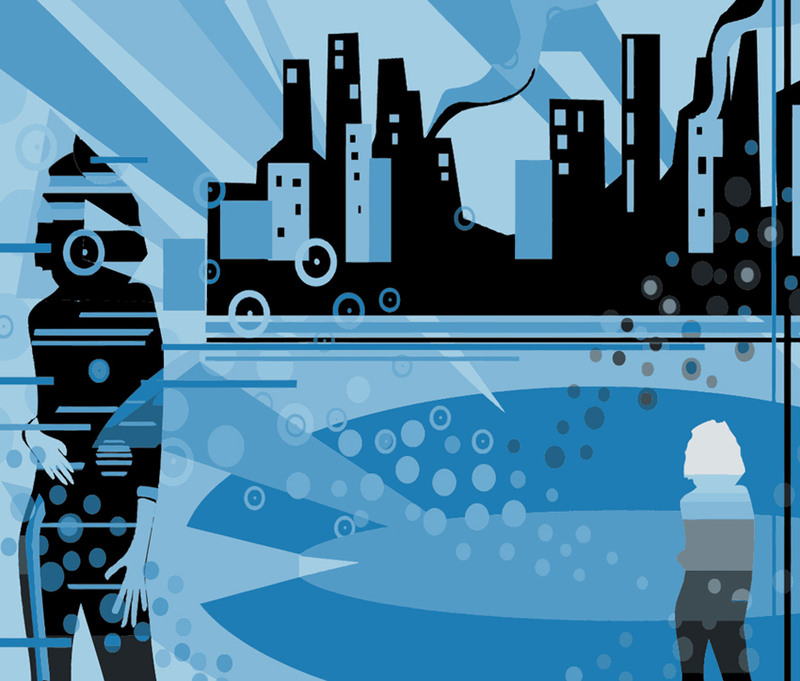 Graphic illustration of an abstract city scene on a blue background. Modern illustration of an urban skyline with girl silhouettes. Original vector art to use for your graphic design and prints. 0.